I tried Wagglepop as an alternative to ebay, and while I had a few sales there, there just are NOT a lot of boutique buyers to be found there! I've heard soooo much buzz about Etsy that I finally bit the bullet and am giving it a shot. Wish me luck there! Bloggers and mailing list subsribers will get free shipping there also. (I'm still working on my website though.) 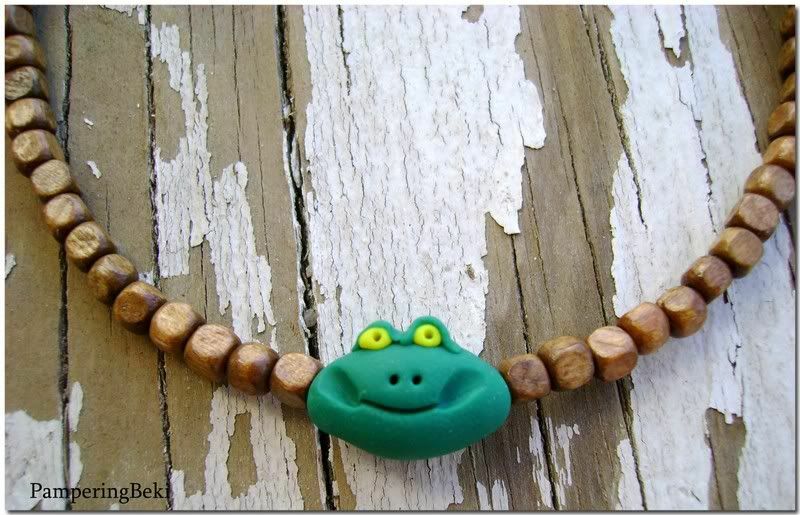 So here's my first Etsy listing, A custom sized frog necklace for a boy or girl. Click the picture to see the listing.